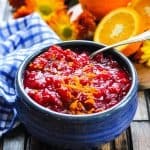 This 3-Ingredient Cranberry Orange Sauce is an easy, make ahead side dish for your Thanksgiving or Christmas dinner! 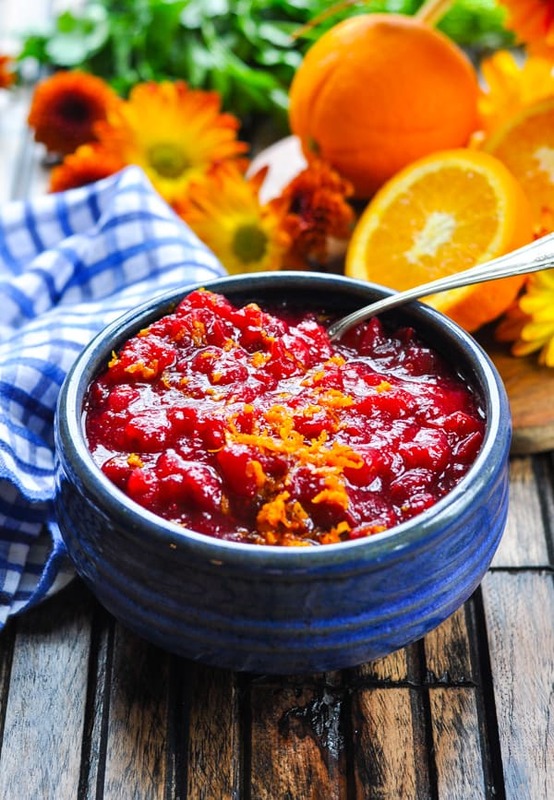 This 3-Ingredient Cranberry Orange Sauce is an easy, make ahead side dish for your Thanksgiving or Christmas dinner! The perfect balance of sweet, tart, and fresh, this cranberry relish is ready in just 20 minutes! 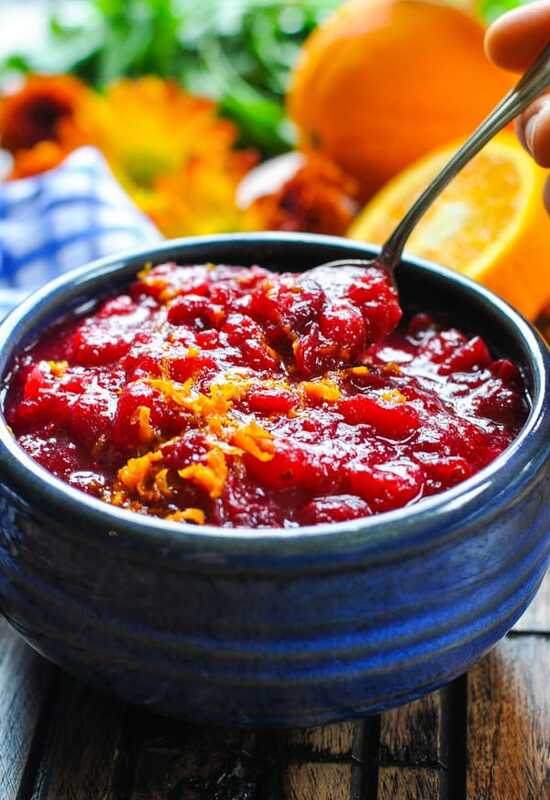 A holiday feast just wouldn’t be complete without all of the classic sides, and this is truly the BEST cranberry sauce recipe that you will ever taste! 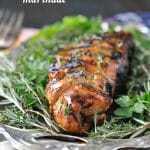 I’ve taken the popular Ocean Spray cranberry sauce recipe, and I’ve made it even better. 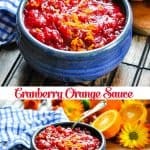 My mom always served cranberry orange sauce for Thanksgiving dinner, so that’s what I do, too! 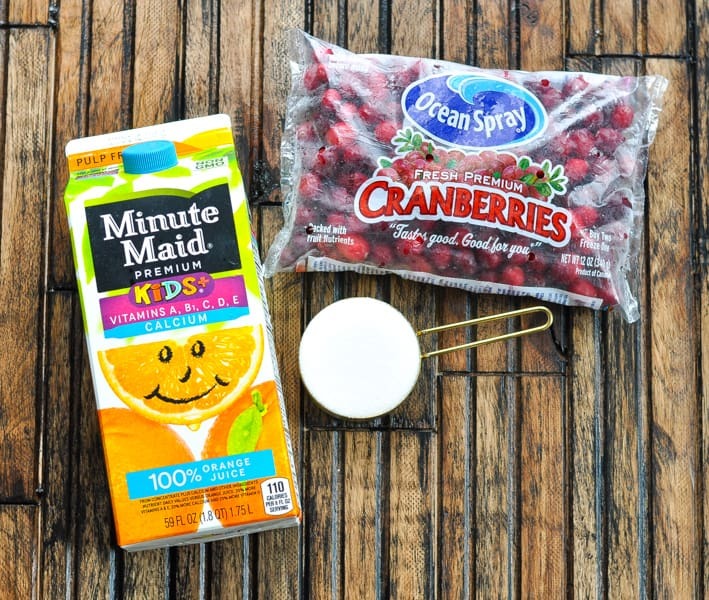 The addition of sweet, citrusy orange juice balances the tartness of the cranberries. This cranberry sauce is healthy, thanks to less added sugar and an abundance of the good for you antioxidant-rich berries. It’s perfectly sweet, but not too sweet. 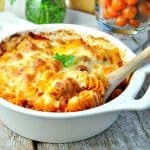 The make-ahead recipe can be prepared at least 3 days in advance, making your holidays less stressful. 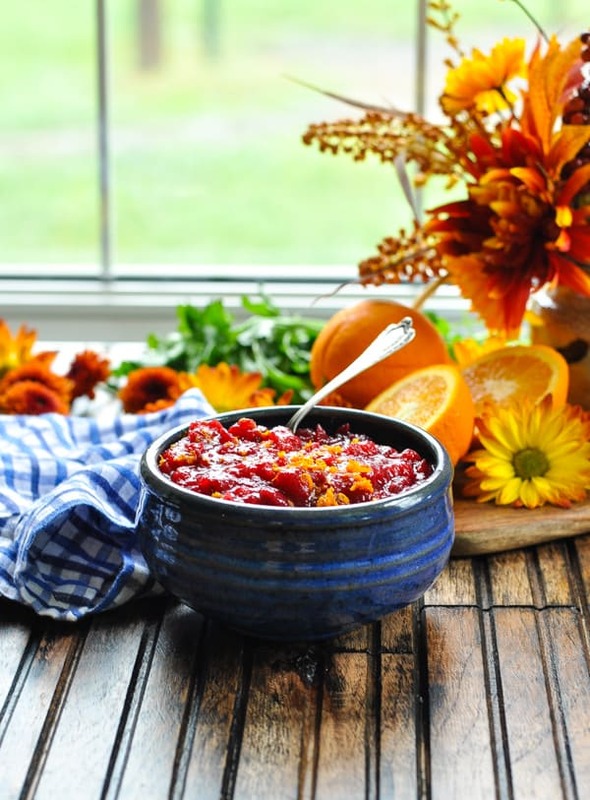 HOW DO YOU MAKE THE BEST HOMEMADE CRANBERRY SAUCE WITH ORANGE JUICE? The cranberry sauce ingredients include a bag of fresh cranberries, orange juice, and sugar. I also suggest adding a pinch of salt, but that’s optional! First, bring juice, sugar, and salt to a boil in a medium saucepan. Whisk frequently so that the sugar dissolves. Reduce the heat to low and simmer, uncovered, until the berries burst and the sauce thickens (about 7-8 minutes). Stir frequently while the sauce simmers. That’s totally up to you! Cranberry sauce can be served cold, at room temperature, or slightly warm. It’s just a matter of personal preference, but I think it’s best at room temperature. 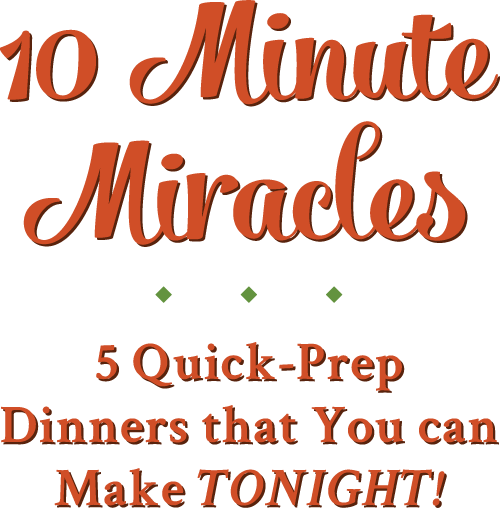 Pull it out of the refrigerator at least 1 hour before you plan to enjoy it! 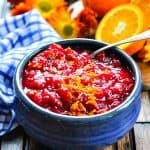 You can definitely prepare this cranberry orange sauce ahead of time, but I do not recommend freezing it. 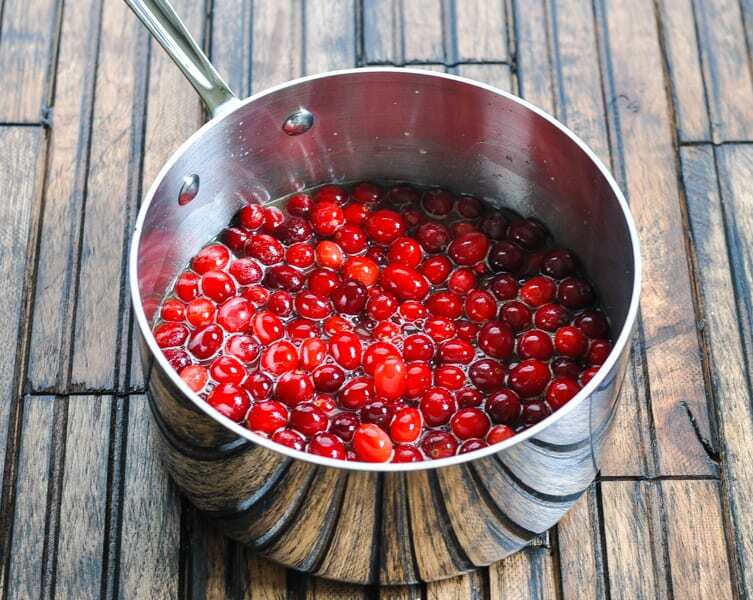 To make the cranberry sauce in advance, simply prepare the recipe as instructed, allow to cool to room temperature, and then keep in the refrigerator for up to 5 days. 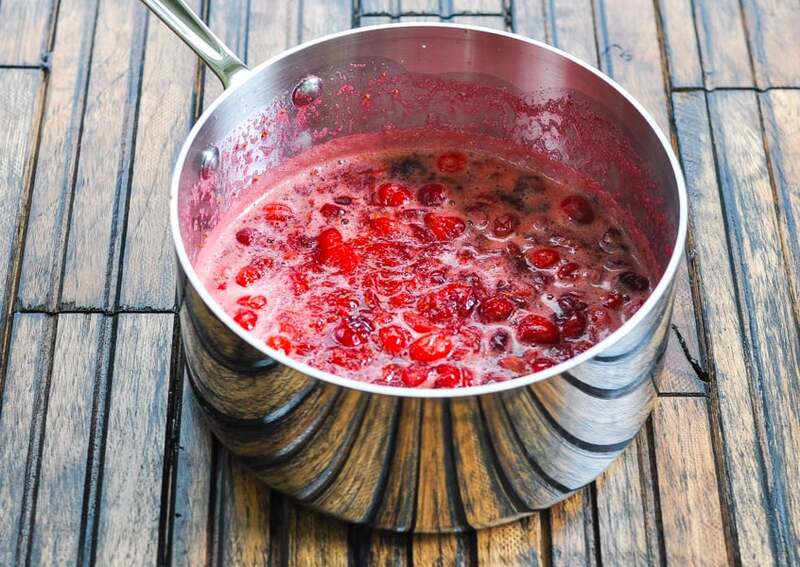 Freezing cranberry sauce will result in a watery texture upon thawing, so that is not the best way to preserve it. You can, however, freeze whole raw cranberries in the bag for up to 1 year. I often do this since cranberries are very seasonal and can be hard to find in the grocery store year-round. That way I always have a stash of fresh berries on hand whenever a craving strikes for this homemade cranberry sauce. The canned stuff just can’t compete! Recipes using cranberry sauce are abundant, because it’s the perfect companion for so many different meals! Have a wonderful holiday season, and enjoy! Bring juice, sugar and salt to a boil in a medium sauce pan. 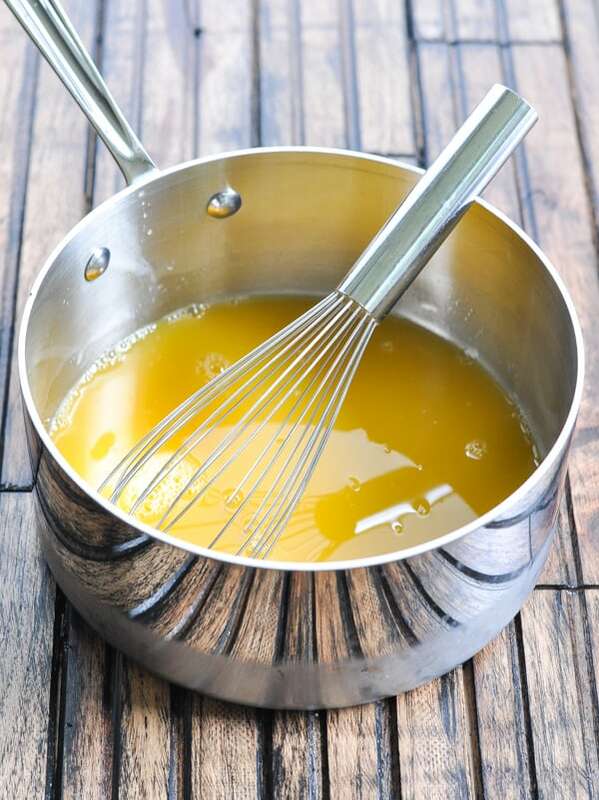 Whisk frequently to help the sugar dissolve. Reduce heat to low and simmer, uncovered, until berries burst and sauce thickens (about 7-8 minutes), stirring frequently. 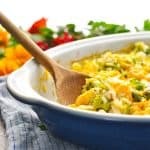 Cool to room temperature and serve, or refrigerate until ready to use. You can, however, freeze whole raw cranberries in the bag for up to 1 year. 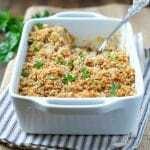 This recipe was originally published in November, 2013. 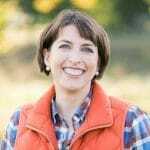 The post was updated in September, 2018.